Where some see old and tired...we see hero and possibility. To us, Legacy is a word latent with value. There’s a lot of value locked up in your legacy applications. Each application or module supports a business process that improves your business value. Sure, that sounds a bit airy—nostalgic even. But if you were to map the number of business processes affected by your legacy technology, you may be surprised at how much business value is enabled by your aging applications. To unlock the value of your legacy apps means confronting some commonly held misconceptions. Modernizing will save you money. Cannot integrate with modern tech. Old technology is incapable of meeting present business needs. Not enough good people to support the aging applications. Not necessarily. While it might be trendy to have all of your IT on the latest and greatest, it may not be cost-effective to do so. Don’t succumb to modernization bias if the ROI can’t support it. If you don’t know why you’re modernizing, you may be adding expense and risk of failure that may cost more than smartly supporting what you already have. Mobile, wearable, web. All great technologies to keep you on the front lines of business. 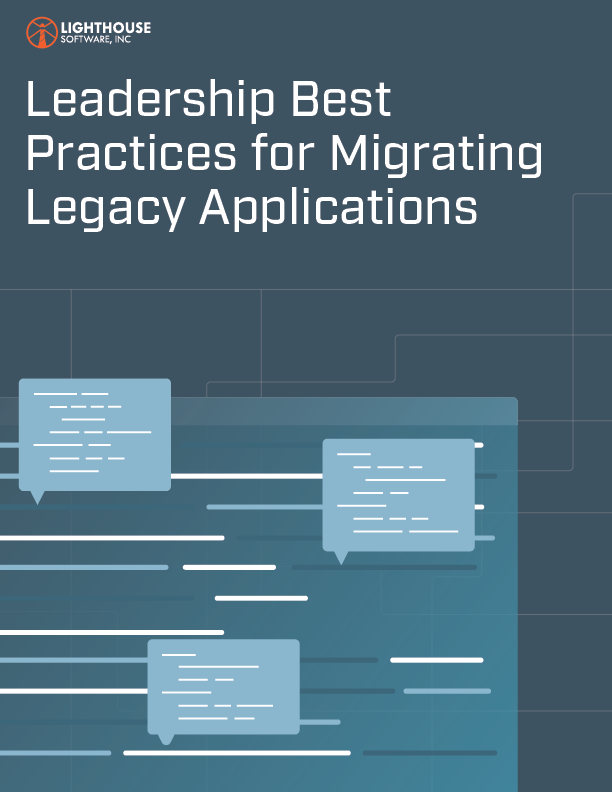 But if you think you need to replace your legacy apps to work with them you may need to expand your thinking. A modernization effort may actually slow you down, with all the attendant risks that come with it. You may actually get to market faster with modern tech by creating adapters to your legacy software. Stating the obvious, it already is—your business is running on it today. Maybe not as efficiently as you might like, but unless you’re in a crisis, there’s no need to jump immediately to a modernization effort. It may simply be that your present applications need to be optimized for performance, tweaked to give additional scalability, and extended to integrate with your other systems. True. Mostly. There is, to be sure, a dwindling market of talent skilled in a specific legacy application. However, that’s not entirely a solid rationale to abandon your aged tech. There are many nerds that consider themselves software restoration enthusiasts—they learn the old stuff for the challenge of it. Find some of those, or rely on ours.